Barts and The London Students' Association is based in the BLSA Building in Whitechapel. As well as our offices, the BLSA Building has plenty of facilities available to students and student groups. For information on how to book any of these facilities click the button below. The Griff Inn is your student union restaurant and bar. Every weekday it provides food, cold and hot drinks as well as alcoholic beverages. The booths and multitude of plugs make it the ideal place to sit down and work during lunch. The Griff Inn is also where we hold many of our events. This is the first port of call for all students, staff and visitors to BLSA. The Reception also sells event tickets, society and club sport memberships. The BLSA Shop also stocks a large range of Barts and the London branded clothing and merchandise such as hoodies, t-shirts and memorabilia. 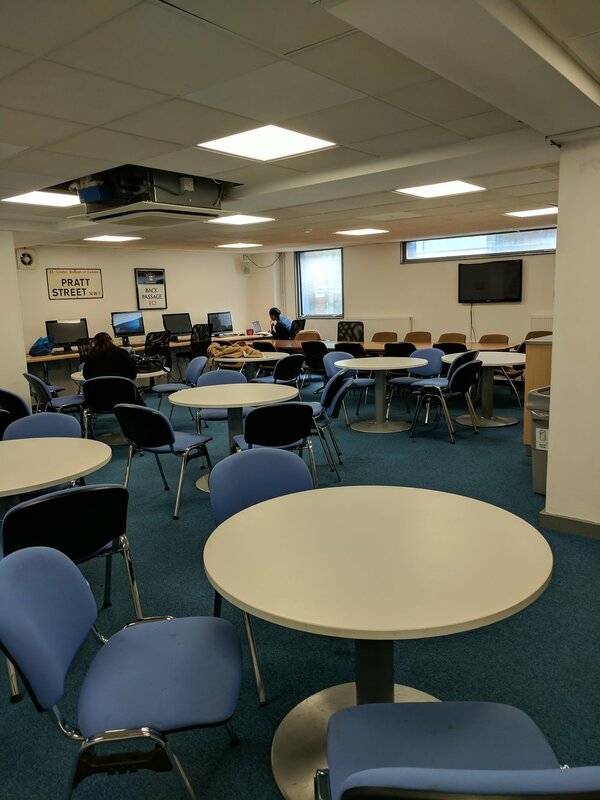 Equipped with computers, desks and chairs, this is the ideal space for students to revise in. Group work, food and discussion is permitted but do keep it to a minmum and respect others using the space. This multipurpose room is free to use during the day for lunch or work. You can also book it. This room is good to relax or indeed play in between lectures. You can collect bats and balls for the games from the reception downstairs. 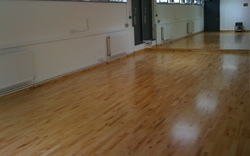 This studio is the perfect place to rehearse your performances, with floor to ceiling mirrors to help choreograph the best performance. Must be booked to use. For use throughout the day. We have female and male access from the toilets downstairs too.